We’ve received a press release and new photos for an all-new licensed Terminator 2: Judgement Day – T-800 Figure. The new figure is being done by Great Twins, and this is their first collector level 6″ tall action figure. This is part of their new Twelfth Scale Supreme Action Figure line, which sounds like it will be expanding rapidly in the near future. Much like Mezco’s One:12 Collective line, the Twelfth Scale Supreme Action Figure uses an articulated action figure body, fabric outfits, and numerous parts an accessories. The new T-800 stands just under 6.3″ tall and has about 25 &#187; Continue Reading. 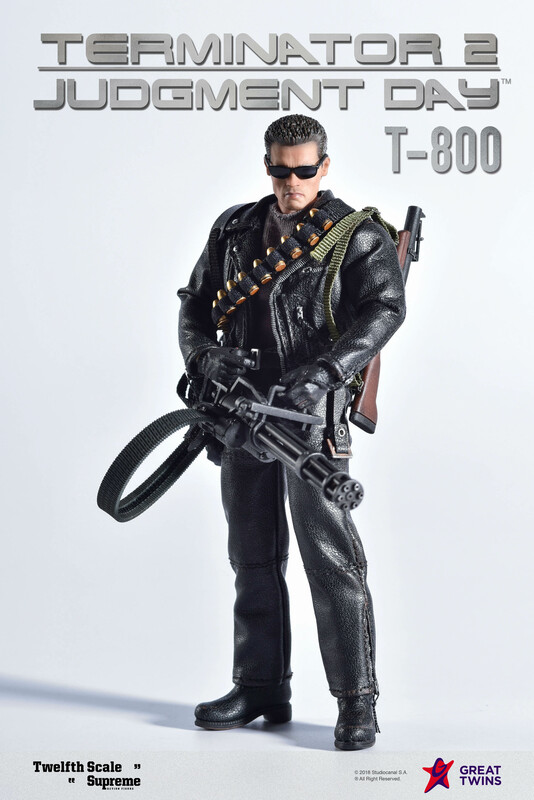 The post Twelfth Scale Supreme Action Figure Terminator 2: Judgement Day – T-800 Figure appeared first on The Toyark - News.